Uttarkashi district was created on February 24, 1960. It iles in the extreme north-west corner of the state over an area of 8016 sq. kms. in the rugged terrain of the mystic Himalayas. On its north lie Uttarakhand TourismHimachal Pradesh State and the territory of Tibet and the district of Chamoli in the east. The district is named after its headquarters town Uttarkashi, an ancient place with rich cultural heritage and as the name suggests is the Kashi of north (Uttara) held almost as high a veneration as Kashi of the plain (Varanasi). Both the Kashi of the plain (Varanasi) as well as the Kashi of north are situated on the banks of the river Ganga (Bhagirathi). The area which is held sacred and known as Uttarkashi, lies between the rivers Syalam Gad also known as the Varuna and Kaligad also known as the Asi. The Varuna and the Asi are also the names of the rivers between which the Kashi of the plain lies. One of the holiest Ghats in Uttarkashi is Manikarnika so is the one by the same name in Varanasi. Both have temples dedicated to Vishwanath. The terrain and climate of Uttarkashi district provide uncongenial physical environment for human settlement. Yet undaunted by hazards and hardships this land was inhabited by hill tribes since ancient times bringing out the best in man his adaptive talents. The hill tribes namely Kiratas, Uttara Kurus, Khasas, Tanganas, Kunindas and Pratanganas find references in the Upayana Parva of Mahabharata. The land of Uttarkashi district has been held sacred by Indians since ages where the seers and sages had found solace and spiritual aspirations and performed penances and where devas performed their sacrifices and Vedic language was better known and spoken than elsewhere. People came here for learning Vedic language and speach. According to an account given in the Mahabharata, Jada Bharatha a great sage performed penances at Uttarkashi. the Kedar Khand of Skanda Purna refers Uttarkashi and the rivers Bhagirathi, Jahanavi and Bheel Ganga. The district of Uttarkashi was part of Gharwal Kingdom ruled by Garhwal dynasty that carried the cognomen `Pal’ which was changed to Sah during 15th century conferred by Sultan of Delhi perhaps Bahlul Lodi. In 1803 Gorkhas of Nepal invaded Garhwal and Amar Singh Thapa was made Governor of this region. The Gorkhas came into contact with the British power in 1814 as their frontiers in Gharwal became determinous with those of the British. The border troubles prompted the Britishers to invade Garhwal. In April, 1815 Gorkhas were ousted from Garhwal region and Garhwal was annexed as British district and was split up into eastern and western Garhwal. The eastern Garhwal was retained by the British Government. The western Garhwal, lying to the west of the Alaknanda river with the exception of the Dun was made over to the heir of Garhwal dynasty Sudarshan Sah. 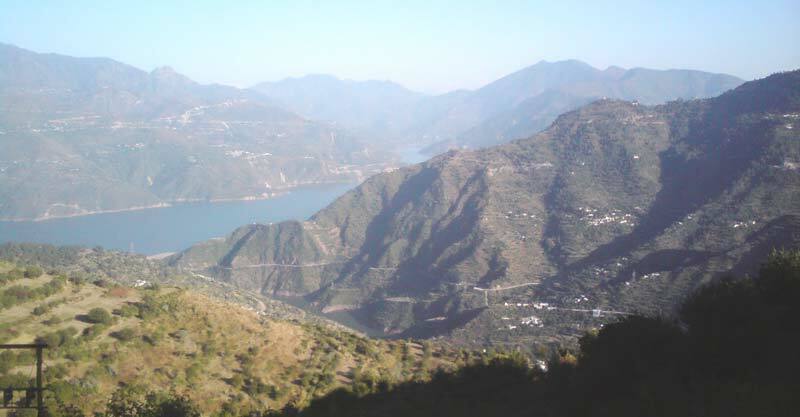 This state came to be known as Tehri Garhwal and it was merged with the state of Uttar Pradesh in 1949 after India attained independence in 1947. Cras cursus non arcu sed tempus. Fusce dignissim elit vel nisi aliquam, non tempor lectus malesuada. Integer ac dignissim ante. Donec posuere, quam eu gravida lobortis, leo neque consequat eros, eu volutpat nisi lacus quis risus. Mauris id felis eleifend, condimentum mi a, porta urna.